The Most Hon. Edward Seaga Reappointed UTech, Jamaica Chancellor — UTech, Ja. The University of Technology, Jamaica (UTech, Jamaica) is pleased to announce the reappointment of the Most Honourable Edward Seaga, ON, PC, Former Prime Minister as Chancellor for an additional period of three years with effect from November 7, 2017 to November 6, 2020. The Chancellor was reappointed by the Cabinet on the recommendation of the University Council. The Most Hon. Edward Seaga is the University’s second Chancellor having succeeded Lord William Morris of Handsworth, OJ who demitted office on November 6, 2010. The Chancellor is the head of the University. His duties include presiding over at least one meeting of the Council annually, the conferring of degrees, diplomas, certificates, other academic distinctions and awards. Mr. Seaga has led a long and distinguished political career and is internationally renowned for his monumental contribution to Jamaica’s political, economic, social and cultural development. He was educated at Wolmer’s Boys’ School in Jamaica and graduated from Harvard University in 1952 with a Bachelor of Arts degree in the Social Sciences. As one of the founding fathers in the framing of the Jamaican Constitution in 1961, his political career began in 1959 when Sir Alexander Bustamante, founder of the Jamaica Labour Party (JLP) nominated him to serve in the Upper House of the Jamaican Parliament, the Legislative Council (later the Senate). His appointment at age 29 made him the youngest member ever appointed to the Legislative Council. 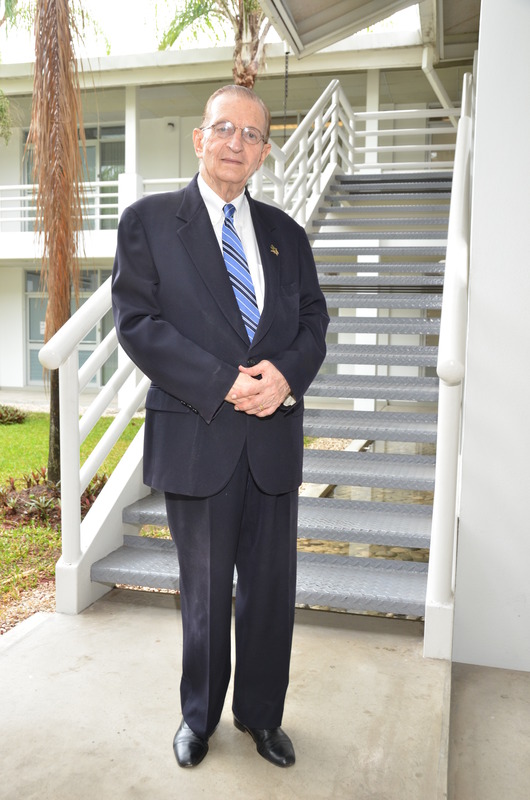 On January 20, 2005, Mr. Seaga retired from politics after serving three years in the Legislative Council (which became the Senate on Independence) and 43 years in the House of Representatives, a total of 45 years. This is the longest period of parliamentary service by anyone in the region. The Most Hon. Edward Seaga is credited for founding, introducing or promoting the establishment of a number of important Jamaican institutions. Among them, The Jamaica Stock Exchange (1969); the Jamaica Unit Trust (1970); the Students’ Revolving Loan Fund for Higher Education (1970); the Jamaica Mortgage Bank (1972); the National Development Bank (1981); the Agricultural Credit Bank (1981); the Ex-Im Bank (1986); the Jamaica Promotion Limited (JAMPRO) in 1988; the Self-Start Fund (1984) and the Human Employment and Resources Training Programme (HEART) in 1983. He is also credited with the creation of the Jamaica Festival and the establishment of the craft development company, “Things Jamaica”, among other cultural institutions. He has authored several publications and received numerous honours and awards locally and internationally in recognition of his achievements. In 1981 he was appointed by Queen Elizabeth II as a member of Her Majesty’s Privy Council. In 2002 he was conferred with the Order of the Nation. In 2005 the University of the West Indies conferred him with the honorary title of Distinguished Fellow in the School for Graduate Studies and Research. He has also been installed as a Fellow of the Institute of Jamaica. The UTech, Jamaica community congratulates Mr. Seaga on his reappointment and continues to pledge its full support to him during his tenure as Chancellor of the University.